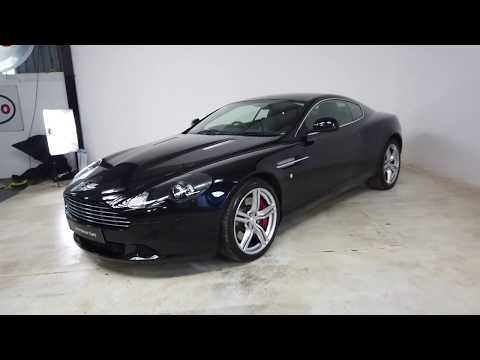 Kent Motor Cars are delighted to offer this stunning Aston Martin DB9 for sale. The car has been exceptionally maintained and remains in a fantastic order throughout. The car benefits from a comprehensive Aston Martin service history (last completed in January 2019 at 40,045 miles) as well as many features and options such as Aston Martin 700w Premium audio, grey brake callipers, front and rear parking sensors, sports seats, 2+2 seating, sports pack wheels, cruise control, satellite navigation, touchtronic 2 transmission, obsidian black caithness leather as well as many more features. **VIEWINGS BY APPOINTMENT ONLY**360 INTERIOR PHOTO AVAILABLE ON OUR WEBSITE** Please visit www.kentmotorcars.co.uk for more information. Kent Motor Cars are FCA regulated and subsequently offer a range of financing options. Receive a part exchange value for your vehicle & get pre-approved for the finance before even leaving home. Test-drives can be arranged with vehicles being able to be driven away on the same day. Please don’t hesitate to call us on 01732 240107 to discuss in more detail.